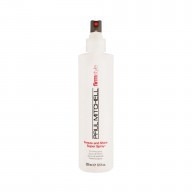 Make your thick and curly hair more manageable with the Paul Mitchell Super Skinny Serum 150ml . When used on dry hair this miracle product works to smooth, condition and seal each individual hair strand, resulting in soft and silky hair that you're in control of. 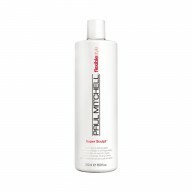 Containing the Paul Mitchell Super Skinny Complex, the hair is penetrated with moisture, and water is displaced making drying time much quicker. 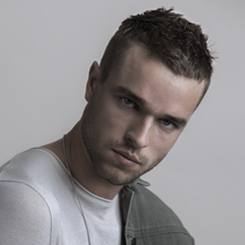 The result it smooth and glossy hair that's free from frizz, making it easier to style and generally more manageable. Containing lightweight silicones, the condition is improved and the hair is sealed and smoothed. Add a little of the serum to the palms of the hands and rub together. Apply to damp hair starting at the end lengths and working up the hair. Style and dry normally.